Mazahir Salih, member of Fair Trade Iowa City, has made herself known as an activist in the community. She was a leader in the founding of the Center for Worker Justice of Eastern Iowa where she is a full-time community organizer. 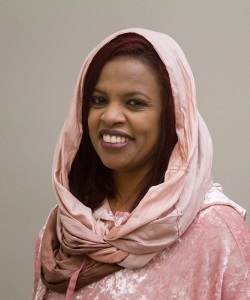 In addition to serving on several committees in the Iowa City Community, Mazahir was elected as the first Sudanese American to hold an office in the United States in 2017. She now serves on the Iowa City Council and enjoys her life with her husband and five children.